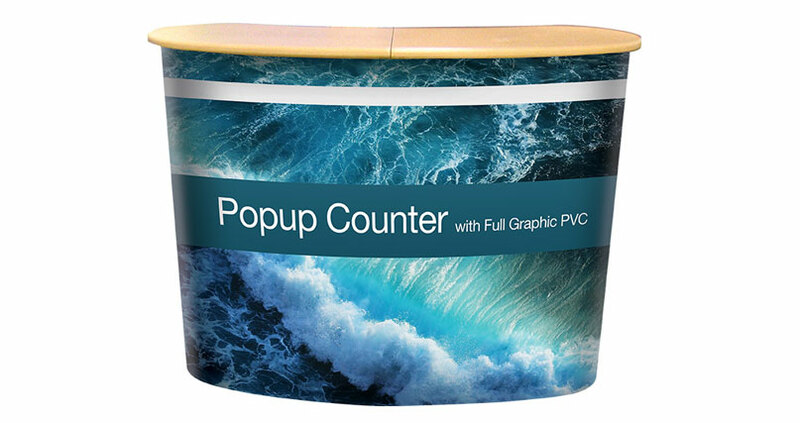 The pop-up counter is faster and easier to set up than ever before! The sturdy frame is put together with magnetic bars that clip into place. The graphic, which features magnetic strips, is then placed on the front. Finally, the curved timber counter top fits easily into place to complete the display. In order to safely transport the counter or store it when not in use, you will also receive three padded nylon cases. 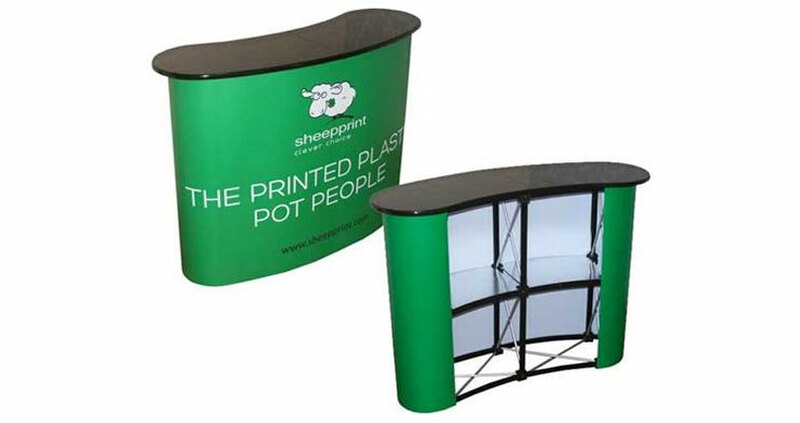 There is one each for the lightweight frame, polished timber counter top and magnetic bars; the graphic is stored rolled up in a tube. The graphic wrap that comes with these counters is printed and laminated before being mounted onto PVC flex. This provides it with additional rigidity and strength, ensuring that it won’t sag or even fall off once secured to the front of the counter. 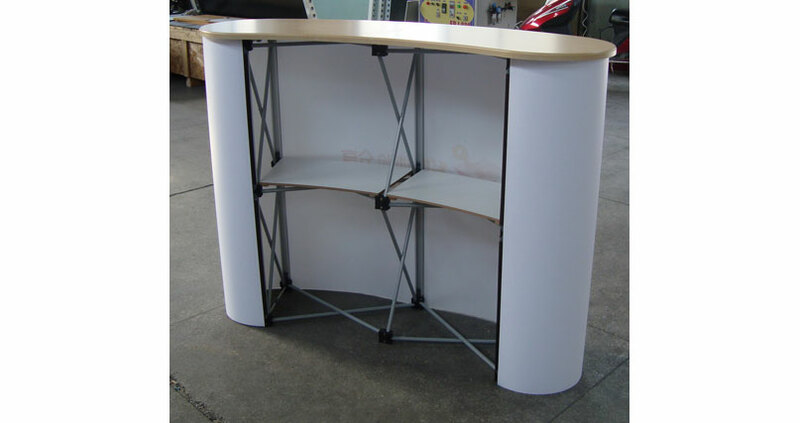 The maximum bearing weight of the counter is 20kg. 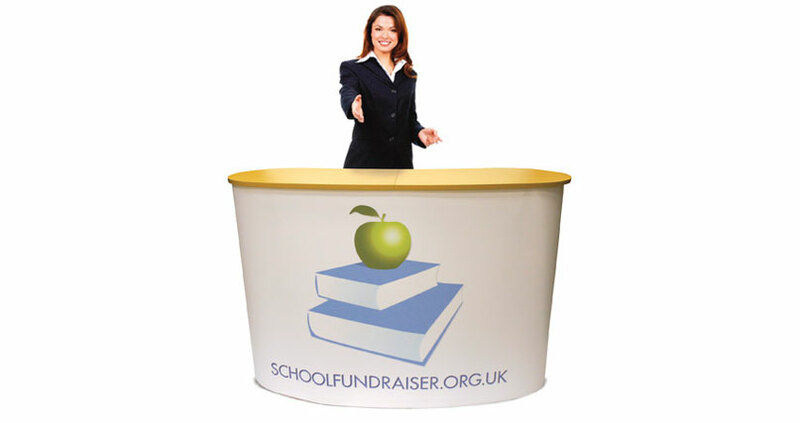 Our pop-up portable counter is around 1275mm wide x 905mm high x 365mm deep. It weighs around 13kg when completely set up (with the graphic). Does the counter come with shelves? 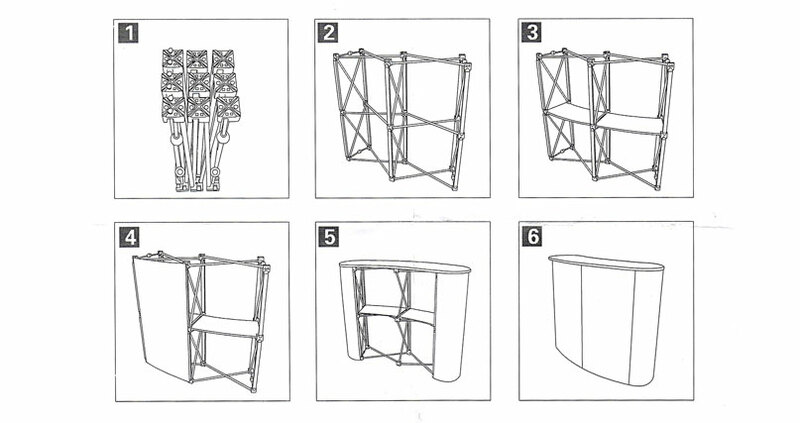 You will be provided with a handy shelf that provides storage during the exhibition.